"I regret that Providence has furnished only one woman for such a crisis as this. 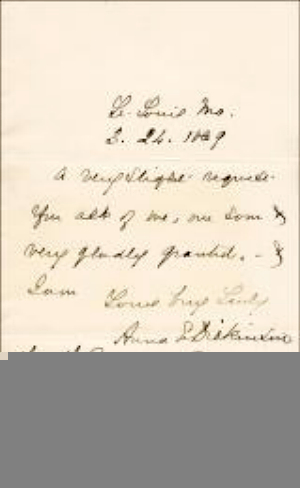 I wish we had fifty Anna E. Dickinson's scattered all over the country telling people the truth." Chairman of the New Hampshire State Republican Committee in June 1863. 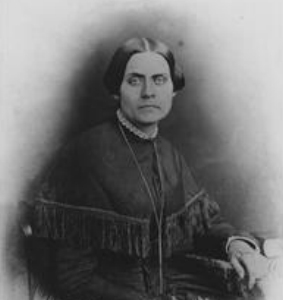 Dickinson, Anna Elizabeth (1842-1932) was born to orthodox Quaker parents in Philadelphia, PA on October 28th. Her mother was from an aristocratic family and very refined. When Anna was an infant the family lost their property and were forced into poverty. She was educated at the Friends’ Select School of Philadelphia. Her father was dedicated to the abolition movement and died after giving a rousing antislavery speech in 1844 when Anna was just two years old. Although she never knew her father, his death while fighting for the abolition cause may have contributed to her own efforts at any early age when she developed a reputation for her outspokenness. She was a restless, willful, yet imaginative child that caused her family much anxiety. When she was 14 she published an essay on "Slavery" in the Boston newspaper The Liberator. 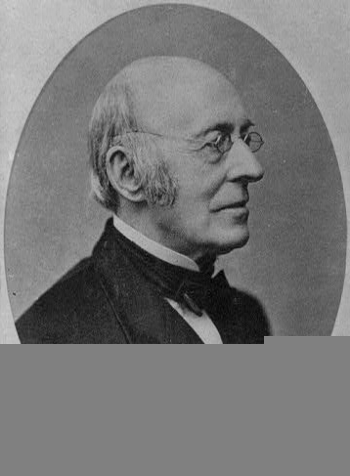 This caught the attention of the paper’s editor, abolitionist William Lloyd Garrison, and she was subsequently invited to share the platform with him during a speaking engagement in Philadelphia in October 1861 when she spoke on "The Rights and Wrongs of Women". Her emotionally blistering rhetoric, charisma, and intelligence impressed him greatly. 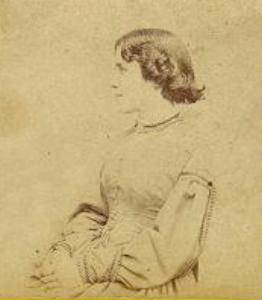 With Garrison’s assistance she obtained further speaking engagements across the United States where she spoke on antislavery, women’s rights, universal education and politics. Her rising celebrity status as a fiery young orator led her to closer ties with the Republican leadership and she was called upon to speak on behalf of Republicans up for election at the state level. She was credited with helping the Republicans pull through to victory and redistributing the political power in the Union after the 1863 elections. 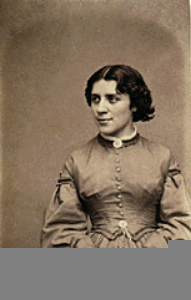 As a result of her extraordinary efforts she was nicknamed the "Joan of Arc" of the Union cause and honored with having been the only woman up to that time to be invited to speak before Congress where President and Mrs. Lincoln were in attendance. 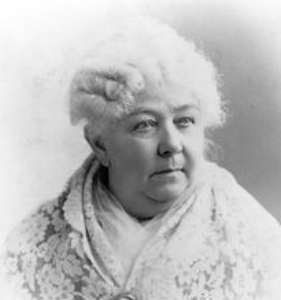 After the Civil War she fought for voting rights, but unlike Elizabeth Stanton and Susan B. Anthony who devoted their energies in support of women’s rights, Anna sided with suffrage for African American men. 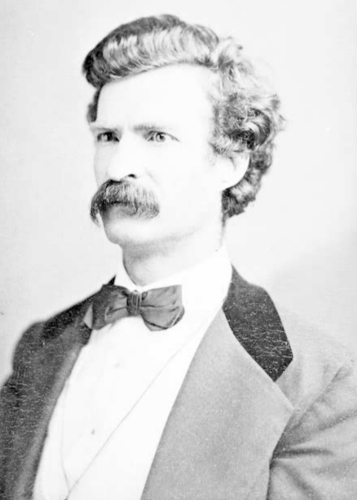 At the height of her lecturing career she made as much as $20,000 a year, more than Mark Twain was getting at the time. When her popularity as a lecturer started to dwindled in the early 1870’s she turned to the stage and had a brief career as an actress. 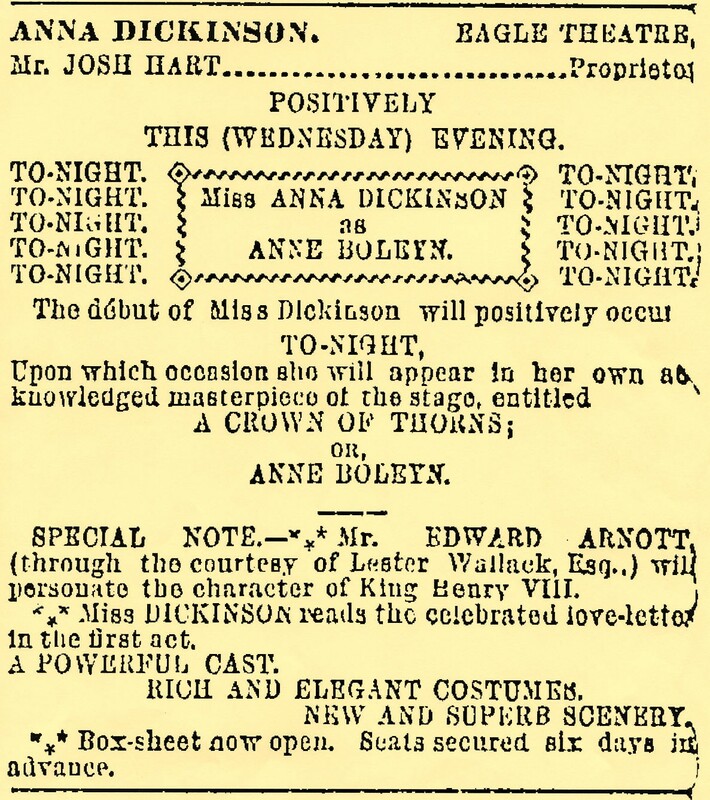 In May 1876 she appeared in Boston in a play of her own about Anne Boleyn called Crown of Thorns, but both she and the play were dismissed by the critics. 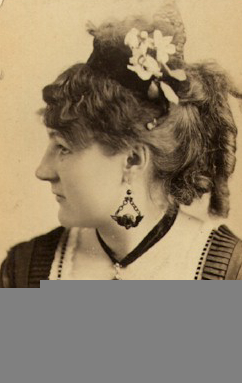 She wrote several other plays, most of which remained unpublished and unproduced, although Fanny Davenport did have a success in 1880 in her An American Girl. After she was ridiculed for her appearance as Hamlet, Dickinson retired from the stage. In 1888, at the invitation of the Republican National Committee she returned to the platform, but her rhetorical gifts had diminished and she proved an embarrassment. Rumors of mental illness followed and as her behavior grew more erratic her sister pushed to have her committed to an insane asylum in Danville, PA. On her release she sued those who were responsible and was awarded damages. She spent her last 40 years in seclusion and died on October 22, 1932 at the age of 90 in Goshen, NY. 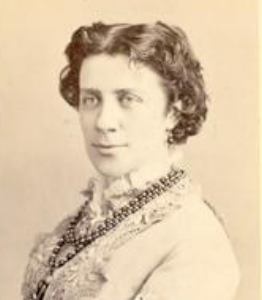 Anna Dickinson was responsible for Joseph Haworth’s New York stage debut. Having played the role of Cromwell in Miss Dickinson’s self-penned vehicle Crown of Thorns in Cleveland, twenty-one year old Haworth was invited to join the cast for its New York opening. Miss Dickinson’s popularity as a public speaker created great interest and advance sales for its April 1977 engagement at the Eagle Theatre, but a troubled rehearsal period and a postponed opening spread rumors through the theatre community that all was not well. 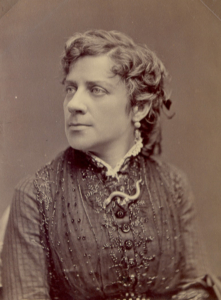 When the play finally debuted on March 4, 1877, it was clear to theatre goers and critics alike that Miss Dickinson was neither an actress nor a playwright. 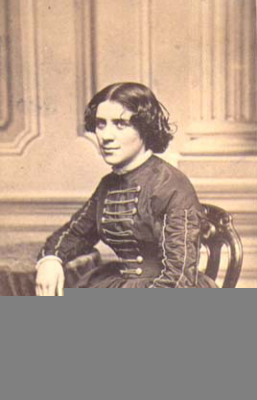 The press was scathing and despite a lengthy curtain speech on March 10, 1877 in which Miss Dickinson challenged the judgment of the New York critics, Crown of Thorns folded early. Young Haworth was unemployed, and in a strange and unfamiliar city. Fortunately, the management of the Eagle Theatre replaced Crown of Thorns with productions of The Hunchback and Macbeth, and hired Joe for the roles of Sir Thomas Clifford and Malcolm respectively. At the end of this engagement, he was hired by Daly’s Theatre to play Benvolio in Romeo and Juliet and Guiderius in Cymbeline, supporting the famous Australian star Adelaide Neilson. 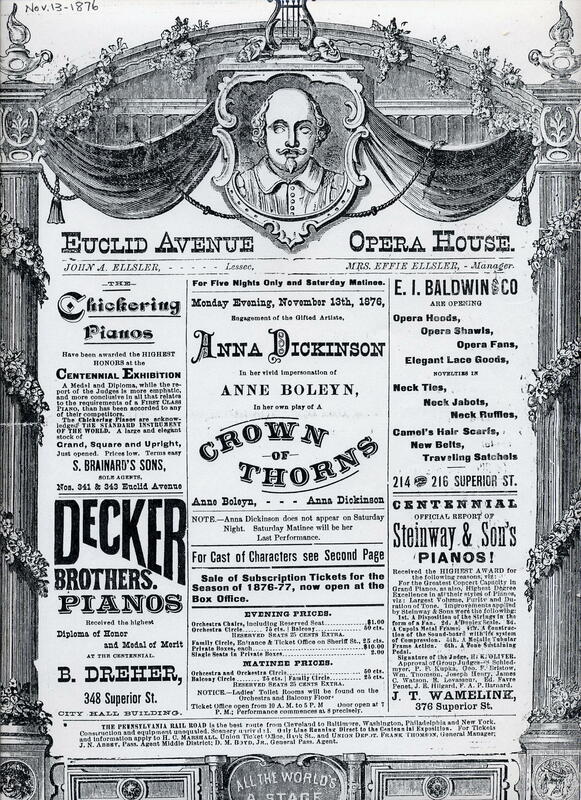 At season’s end, Joe returned home to Cleveland for one more year with John Ellser’s Euclid Avenue Opera House.